Although the name MAY has an ancient Norman origin, it first arrived in England with the Norman Conquest of 1066. The name MAY is derived from the Old French work mai. This name was also a nickname for a person with a particularly sunny disposition or a person who had an anecdotal connection with the month of May. Often this connection would be the time that feudal obligations were owed. Nicknames, such as MAY, that described the time or season of the birth, baptism or conversion of the original bearer were frequently adopted in the medieval era. The name has been spelled May, Maye, Mays and Mai. The first evidence of the MAY family appears to be in Sussex, in southern England. Sussex was once a part of the kingdom of the south Saxons, which was founded in the late 5th century. In 1825, Sussex became a part of the kingdom of Wessex. By the 12th century, the MAY family had expanded in size and branched to Sutton Cheyney in Leicestershire, Rawmere in Sussex, and the county of Berwickshire. Early records of the MAY family reveal that in 1296, William May swore an oath of allegiance to King Edward I of England, who conquered Scotland that year. A number of early immigrants to North America bore the name MAY or a variant including Cornelius May who arrived in Virginia in 1616, Dorothy May who arrived on the Mayflower in 1620, William May settled in St Christopher in 1634 and Peter Maye who landed in the Bay of Bulls, Newfoundland in 1675. Small numbers by a name refer to personal number in listing eg NICHOLAS 2 MAY ~ see 2. 1.~ ~ ~ NICHOLAS MAY was born around 1727 in St Mawgan-in-Ryder, Cornwall, England and was the son of WILLIAM MAY and MARY BENNEY (or BERRY). Nicholas married JANE THOMAS on 5 July 1752 at St Mawgan-in-Ryder. Jane was born around 1731. NICHOLAS 2 MAY, born 1762. 2. ~ ~ ~ NICHOLAS MAY (NICHOLAS) was born in 1762 in St Mawgan-in-Ryder, Cornwall. Nicholas married ANN TREWEEK on 12 December 1785 at St Clement, Cornwall. Ann was born around 1754 and was the second daughter of ABRAHAM TREWEEK and MARY GEORGE. She died in 1788 in Gwennap, Cornwall. > Refer to the TREWEEK family for more information about the family of Ann. ABRAHAM 3 MAY, baptized on 11 January 1788. 3. ~ ~ ~ ABRAHAM MAY (NICHOLAS > NICHOLAS) was baptized on 11 January 1788 at St Stephen-in-Brannel, Cornwall and was the son of NICHOLAS MAY and ANN TREWEEK. Abraham was a Miner. Abraham married JANE TRELEASE on 14 December 1809 in Gwennap, Cornwall. Jane was born on christened on 26 December 1790 in Gwennap and was the second daughter of WILLIAM TRELEASE and JOAN MORCOMBE. > Refer to the TRELEASE family for more information about the family of Jane. JOHN TRELEASE MAY, christened 20 September 1812 in Gwennap, Cornwall. WILLIAM 5 MAY, christened 20 September 1814 in Gwennap, Cornwall. JOHANNA 6 MAY, christened 2 June 1816 in Gwennap, Cornwall. JANE 7 MAY, christened 12 September 1817 in Cusgarne, Cornwall. Jane married GEORGE ELLIOTT on 21 August 1836 in Gwennap, Cornwall. ELIZABETH MAY, christened 13 June 1819 in Gwennap, Cornwall. Elizabeth married THOMAS DARLINGSTONE on 2 May 1839 in Gwennap. Thomas was born around 1816 in Gwennap, Cornwall. Elizabeth died on 1 Jan 1893 in Gwennap. ABRAHAM 8 MAY, christened 12 February 1822 in Gwennap, Cornwall. RICHARD MAY, christened 14 July 1825 in Gwennap, Cornwall. Richard died on 22 January 1827. HARRIET 9 MAY, born 30 December 1826 in Cusgarne, Cornwall. LAVINIA 10 MAY, born on 22 February 1829 in Cusgarne, Cornwall. ELIZA 11 MAY, christened 25 June 1831 in Gwennap, Cornwall. WILLIAM MAY, born about 1833 in Cusgarne, Cornwall, England. William married EMILY MONCKTON on 14 September 1870 in Brenchley, Kent, England. Emily was christened on 10 August 1837 in Brenchley, Kent. 4. ~ ~ ~ ANN MAY (NICHOLAS > NICHOLAS > ABRAHAM), christened on 22 Jul 1810 was the eldest daughter of ABRAHAM MAY and JANE TRELEASE. Ann married GEORGE ILIFF on 23 June 1832 in Gwennap, Cornwall, England. George was born about 1805 in Leicestershire. On the 1861 Census his occupation is listed as Grocer. o JANE ILIFF, born about 1833.
o GEORGE ILIFF, born about 1835. George was a Copper Miner living in St Ives in 1861.
o WILLIAM ILIFF, born about 1838.
o ELIZA ILIFF, born about 1843.
o MARTHA ILIFF, born about 1845.
o HARRIET ILIFF, born about 1847.
o ALFRED ILIFF, born about 1849. Alfred was a Grocer & Provisions Dealer living in Rumworth, Lancashire in 1891.
o EDWARD ILIFF, born about 1851.
o ANNIE MARIA ILIFF, born about 1855. Annie married JAMES PARTINGTON in Lancashire on 8 March 1884. 5. ~ ~ ~ WILLIAM MAY (NICHOLAS > NICHOLAS > ABRAHAM), christened 20 September 1814 in Gwennap, Cornwall, was the second son of ABRAHAM MAY and JANE TRELEASE. William married ELIZA MITCHELL on 25 March 1837 in Gwennap. Eliza was born 1816 Cusgarne, Cornwall. MARY JANE MAY, born 1839. STEPHEN MAY, born 1840 in Liskeard, Cornwall. ELIZA ANN MAY, born June 1841; died June 1854 in Gwennap, Cornwall. LAVINIA MAY, born 10 February 1843 in Gwennap, Cornwall; died 10 February 1925 in Delta County, Michigan, USA. ELIZABETH MAY, born 1845 in Gwennap, Cornwall; died in Michigan, USA. EMILY MAY, born 3 February 1848 in Gwennap, Cornwall. HARRIET MAY, born 31 January 1851 in Perranarworthal, Cornwall; died 4 January 1921 in Montana, USA. 6. ~ ~ ~ JOHANNA MAY (NICHOLAS > NICHOLAS > ABRAHAM), was christened 2 June 1816 in Gwennap, Cornwall and was the second daughter of ABRAHAM MAY and JANE TRELEASE. Joanna married SAMUEL DUNSTAN on 24 March 1842 in Gwennap. o JANE DUNSTAN, born about 1845.
o JAMES DUNSTAN, born about 1847.
o ELIZABETH C DUNSTAN, born about 1847. In 1851 Johanna and Samuel were living in St Ives, Cornwall where Samuel was a Miner. By 1871 they were living in Kea, Cornwall where Samuel was recorded as a Farmer and Johanna as a Farmers Wife. Joanna died on 20 June 1874 at Cross Lanes, Kea, Cornwall. 7. ~ ~ ~ JANE MAY (NICHOLAS > NICHOLAS > ABRAHAM) was christened on 12 September 1817 in Cusgarne, Cornwall. She was the third daughter of ABRAHAM MAY and JANE TRELEASE. Jane married GEORGE ELLIOTT on 21 August 1836 in Gwennap, Cornwall. George was born about 1816 in Buckfastleigh, Devonshire, England. o MARY JANE ELLIOTT, baptized 25 December 1837.
o GEORGE ELLIOTT, born about 1841.
o ABRAHAM ELLIOTT, born about 1843.
o JAMES ELLIOTT, born 19 August 1845 in Gwennap, Cornwall; died 8 October 1886 in Larimer County, Colorado, USA. o JOHN ELLIOTT, born about 1849.
o WILLIAM MAY ELLIOTT, born about 1851 and baptized 8 June 1853 in Gwennap, Cornwall..
o LAVINIA ELLIOTT, born about 1852.
o THOMAS HENRY ELLIOTT, born 10 July 1853 and baptized 31 October 1853 in Gwennap, Cornwall. Thomas died 3 February 1906 in Columbia, Pennsylvania, USA. o ELIZABETH ANN ELLIOTT, born about 1858.
o MARGRETTA ELLIOTT, born about 1860. 8. ~ ~ ~ ABRAHAM MAY (NICHOLAS > NICHOLAS > ABRAHAM) was christened on 12 February 1822 in Gwennap, Cornwall, England and was the third son of ABRAHAM MAY and JANE TRELEASE. Abraham married HARRIET KENT on 5 June 1842 in Kea, Cornwall. JOHN MAY, born 1852 in Gwennap, Cornwall. John married MARY ANN PAULL in 1873. 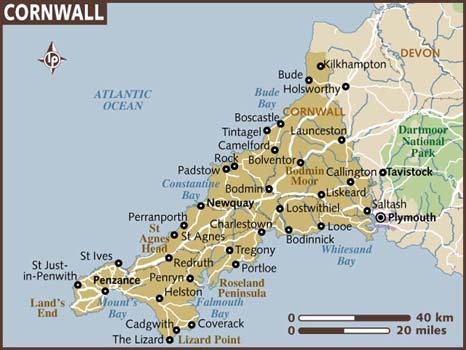 Mary was born in Perranarworthal, Cornwall and was a daughter of MOSES PAULL and ELIZABETH JANE WILLIAMS. HARRIET JANE MAY, baptized on 9 May 1858 in Truro, Cornwall. Harriet married CHARLES HENRY NORTHCOTT on 6 October 1882 in Gwennap. Charles was born about 1861 in St Ives, Cornwall. In 1884 Harriet and Charles immigrated to Victoria, Australia. Charles died on 10 August 1940 and Harriet died in 1950. Abraham is recorded as being a Farmer with 25 Acres living in Redruth, Cornwall in the 1881 Census. On the same Census John is recorded as being a Farmer with 4 Acres living in Perranarworthal, Cornwall. 9. ~ ~ ~ HARRIET MAY (NICHOLAS > NICHOLAS > ABRAHAM) was born on 30 December 1826 in Cusgarne, Gwennap, England and christened on 22 January 1827. She was the fifth daughter of ABRAHAM MAY and JANE TRELEASE. Harriet married NICHOLAS PAUL on 26 April 1847 in Gwennap. Nicholas was born on 26 January 1823 in Perranarworthal, Cornwall and was the son of NICHOLAS PAUL and ANN HEATH. o HARRIET PAUL,, born 23 February 1848 in Perranarworthal, Cornwall; died Salt Lake, Utah, USA on 20 January 1897.
o JANE PAUL, born 28 December 1849, Cape Town, South Africa. Jane married JOHN THOMPSON ROWLEY in Salt Lake City, Utah on 23 May 1868. She died on 28 January 1908 in Idaho, USA. o ELIZABETH PAUL, born 3 November 1851 in Cape Town, South Africa. Elizabeth married EDWIN STOTT on 18 February 1876 in Millard, Utah, USA. Edwin was born on 5 November 1836 in Lancashire, England; died 19 February 1928 in Millard, Utah. Elizabeth died on 2 March 1918 in Utah, USA. o WILLIAM PAUL, born 27 May 1854 in Cape Town, South Africa; died 29 November 1943 in Millard, Utah, USA. William married MIRANDA JANE ST JEOR on 23 December 1876 in Utah. USA. o JOSEPH PAUL, born 29 July 1856 in Cape Town, South Africa; died 11 September 1934 in Provo, Utah, USA. Joseph married ODIANNA TREMBLAY. o HYRUM PAUL, born 2 June 1859 in Mowbray, Cape Town, South Africa; died 11 November 1859.
o MARY FRANCES PAUL, born 28 May 1860 aboard the ship Mary Pierce while on route to the USA. Mary died in February 1868 in Millard, Utah. o EMMA PAUL, born 20 October 1862 in Millard, Utah, USA. Emma was the first of the children to be born in the USA. She married ELIAS McCLELLAN SMITH on 29 September 1884 in Beaver, Utah. Emma died on 14 November 1915 in Millard, Utah. o ELIZA ANN PAUL, born 19 December 1864 in Millard, Utah, USA; died 6 June 1891.
o LAVINIA MARY PAUL, born 6 May 1866 in Millard, Utah, USA. Lavinia married WILLIAM BUTSON on 15 December 1904 in White Pine, Nevada, USA. She died on 22 August 1950 in Nevada. o JOSEPHINE PAUL, born 28 January 1870 in Millard, Utah, USA. Josephine married LOUIS HENRY CHERRINGTON on 17 October 1887 in Millard. Louis was born in Salt Lake City, Utah on 9 March 1867; died 6 May 1943. Josephine died on 9 October 1938 in Alameda, California, USA. > Refer to the PAUL family for more information about the family of Nicholas Paul. 10. ~ ~ ~ LAVINIA MAY (NICHOLAS > NICHOLAS > ABRAHAM) was born on 22 February 1829 in Cusgarne, Cornwall, England and was the sixth daughter of ABRAHAM MAY and JANE TRELEASE. Lavinia married PAUL WILLIAMS on 30 November 1848 in Gwennap, Cornwall. Paul was born on 19 December 1824 in Perranarworthal, Cornwall and was the son of JOHN WILLIAMS and MARY JOBE who had married in Perranarworthal on 14 April 1822. > Refer to the WILLIAMS family for more information about the family of Paul and children of Lavinia and Paul. 11. ~ ~ ~ ELIZA MAY (NICHOLAS > NICHOLAS > ABRAHAM) was christened on 25 June 1831 in Gwennap, Cornwall, England and was the seventh daughter of ABRAHAM MAY and JANE TRELEASE. Eliza married (1) JOHN HARVEY on 25 June 1846 in Gwennap. John was born about 1825 and was a son of WILLIAM HARVEY. o ARTHUR SYMONS, born 19 April 1864. By 1901 he was living in Michigan, USA. o HETTA SYMONS, born 1868.
o SAMUEL SYMONS, born 1871. All four children of Samuel and Eliza were recorded on the 1881 and 1891 Censuses as residing at Sunnyside Mills in Bolton, Lancashire, and from 1881 the surname is recorded as SIMMONS. Samuel died in a mine explosion in Cornwall in 1872 and by 1881 Eliza was living in Bolton, Lancashire, once again a Widow. By 1901 she had immigrated to the United States of America with son Arthur. Eliza died on 12 February 1903 in Houghton, Michigan, USA.